How clean is the water in your system? . Is your filter operating at maximum efficiency? Is filtration needed? 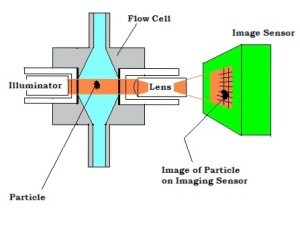 These questions can best be answered through laser particle count analyses of the system water. AWTC uses particle count analyses to determine the cleanliness of the system. 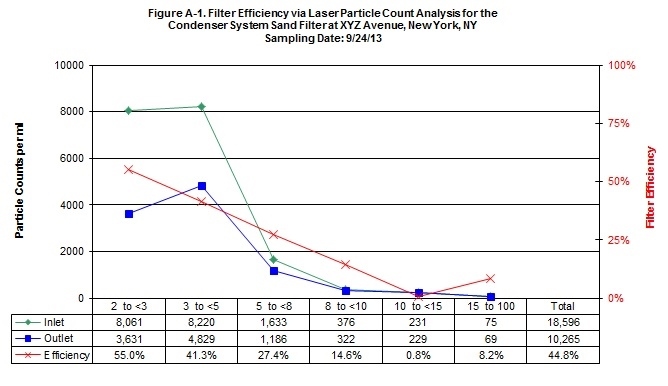 Particle count data helps to determine the need for filtration or whether an existing filter is effective. Common sense dictates that the cleaner the water, the better the corrosion and deposit control. Water that appears clean may be loaded with particles that are too small to see but can still contribute to fouling. Solid contaminants can deposit on heat transfer surfaces and promote under-deposit corrosion and biological growth. Fouled heat exchangers result in a significant loss of efficiency. Dirt, foreign matter and scale can clog or damage pumps and reduce the life of pump seals, spray nozzles, condensers and similar equipment.